Crows are smart, but they have a weakness for shiny objects. You have a shiny object. The problem is, so do your friends. 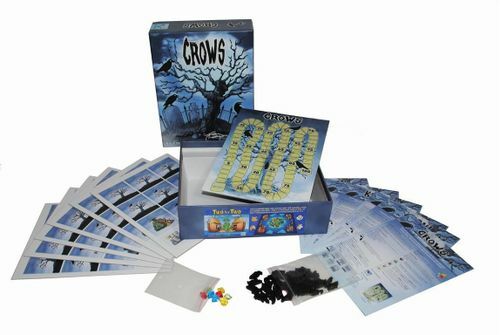 There are too many shiny objects and too few crows! 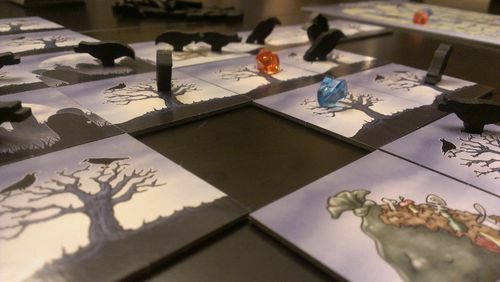 Players take turns placing tiles and then positioning their shiny objects to attract the most crows. Components in great condition, I have only played this the once but it didn't suit my group.